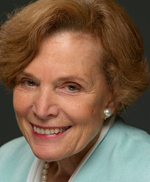 Legendary oceanographer Sylvia Earle, the undersea explorer dubbed a “living legend” by the Library of Congress, will be the speaker at Smith College’s 133rd Commencement ceremony on Sunday, May 15, at 10 a.m. in the campus Quadrangle. Honorary degrees will be awarded to Earle, former Massachusetts Supreme Court Justice Margaret Marshall, Sri Lanka Supreme Court Justice Shiranee Tilakawardane, and photographer and artist Carrie Mae Weems. Read the full story on The Gate.